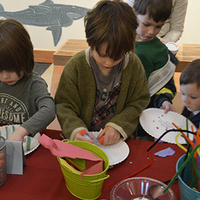 You and your child are invited to learn and play at the museum during our monthly Little Wonders event. This month, we're Investigating Insects! Insects may be small, but they're kind of a big deal. Come learn about theses amazing and diverse animals through a story, games, and crafts.